All are invited to share in the church’s mission, whether through service on one of the ministry teams or—for those who like to help, but aren’t fond of committee meetings — an action group that supports their work. Ministry teams meet once a month on a variety of times and days. Action groups are smaller groups of people empowered to bring life to particular events or ministries; unlike ministry teams, action groups have a specific task and a time limit, and can meet as little or as often as they would like. If you’d like to learn more about teams and groups and how to get involved, please be in touch with Pastor Steve, and he’ll be glad to point the way. Adopt-a-Highway: In partnership with Missouri Department of Transportation, we sponsor a section of Highway 9 through Parkville. Volunteers clean the roadside up to four times a year. 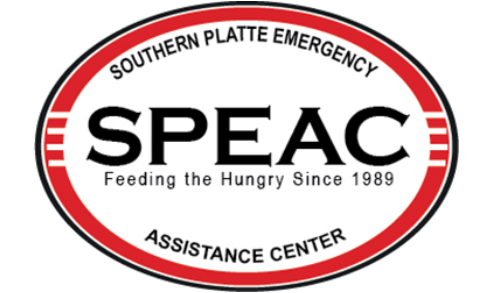 SPEAC is a not-for-profit Food Pantry supported by eight local congregations and housed at our church. Members of our congregation serve on the board and volunteer throughout the week. Hillcrest helps families transition out of homelessness. PPC sponsors an apartment for Hillcrest residents, and we get to know them by meal sharing, budget counseling, and being their friends. Meals-on-Wheels volunteers participate in a county-wide program to deliver hot meals to home bound seniors. 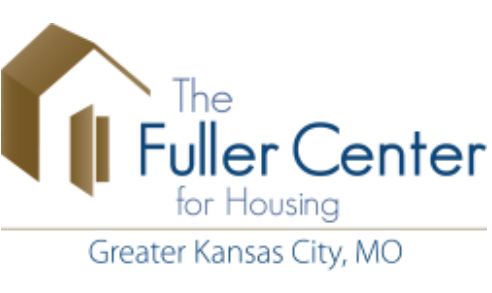 Visit Platte County Seniors for volunteer opportunities with Meals-on-Wheels. The Fuller Center helps families stand on their own two feet with interest-free mortgages on new and renovated homes. A Fuller Center ‘build’ is a sight to see, and folks at PPC love pitching in on these projects. 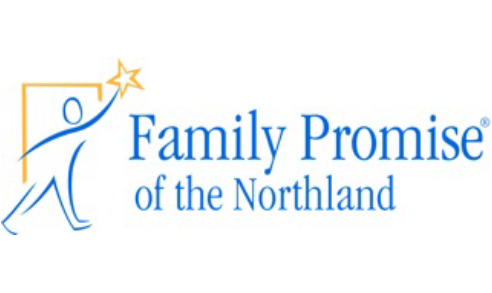 Family Promise is a transitional housing ministry where churches give four rooms for up to four families, during four weeks every year, and devote those hosting weeks to sharing meals, leading the kids in games, and other forms of support. Family Promise helps people move toward self-sufficiency, and we get to be a part of that! 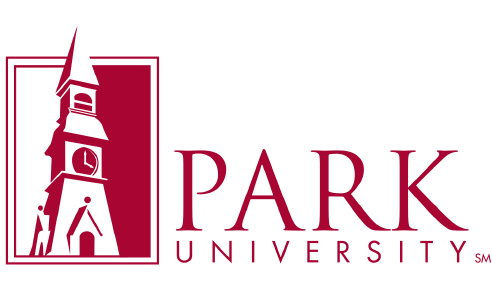 Partnering with the Office of International Students at Park, we put together welcome kits for incoming international students, and provide welcome meals as well, as one part of our long-standing connection to the university across the road. PPC also partners with United Services Community Action Agency to provide school supplies and Christmas Store to low-income students. Contact PPC for more information. We believe that a church can make a difference if it seeks to do God’s will and works with others sharing a similar vision. Bread for the World: Bread for the World members work to make our nation’s laws more fair and compassionate to people in need by meeting with and writing personal letters and emails to our members of Congress. For more information, click here. CROP Hunger Walk: Neighbors walking together to take a stand against hunger in our world. Together we raise awareness and funds for international relief and development, as well as local hunger-fighting. For more information, click here. Christmas Joy Offering: This offering is collected the Sunday prior to Christmas. Half of the offerings are distributed to programs that give support to retired and active church workers and their families. The other half supports Presbyterian-related racial ethnic education through the General Assembly Mission Council. One Great Hour of Sharing: This Palm Sunday offering goes to support the following programs: Presbyterian Hunger Program, Self-Development of People, and Presbyterian Disaster Assistance. Pentecost Offering: Each spring we collect this offering to support at-risk children both at the local and national level. It also provides leadership development opportunities for youth and young adults. Peace & Global Witness Offering: The first Sunday of October, we collect this offering to support local peacemaking activities and well as national and international PCUSA peacemaking programs. Radical Hospitality is the broad banner for ministries at PPC that focus on meeting new people, welcoming visitors, and getting to know old friends a little better. The hospitality ministry coordinates special events throughout the year, like a brunch on Easter morning, a Thanksgiving Dinner in November, and picnics in the park in the summer. They also work with other ministry teams to liven up events like VBS, the Easter Egg Hunt, and more, to help them become even more welcoming. One of the ongoing ministries of the Radical Hospitality team is Dinners for Eight, dinner with a small group of rotating people, hosted by a member, and designed to help new people get to know each other. New members and guests are especially invited to come to a dinner and learn more! We are always looking for new people who like to cook, serve, and greet. If you’d like to learn more about hospitality ministries, or get involved, contact Pastor Steve. Parkville Presbyterian is proud to partner with several community organizations to share the space of the church and keep it open for the community. We regularly host Music Together – a music class for kids, practice rooms for Park University music students, a Narcotics Anonymous group, Boy Scouts, Cub Scouts, and Girl Scouts; and in recent years, we have hosted events for the City of Parkville, Meyers Funeral Home, and other community groups. Maintaining and sharing the church’s space is part of our mission, and we’re glad to be open to those who need a room to meet in or a fellowship hall to share. Contact the church office to learn more about reserving space at PPC. Handy Helpers – Open for Business! The Handy Helpers gather, organize and facilitate volunteers to assist in providing skill and labor to members of the congregation (as well as friends and neighbors of Parkville Presbyterian Church) in need of assistance. If you would like to help deliver services to those in need please contact our church office to indicate your interest. We need a team of folks (men and women, young and “experienced”) who can lend a hand from time to time. If you or someone you know is in need of some basic help around the home contact the church office to request assistance. Include name, address, phone, email and the general nature of the needs. A form with more information is available from the church office and is posted in the narthex. Examples of assistance include: yard work, removal of debris, small plumbing issues, moving heavy objects, minor repairs, light shopping and errands, and referrals for other services in the community. This form can also be downloaded here and then provided to the church. Helping people in need is the highest form of hospitality and a great way to share the love of Jesus Christ within our community. Asking for assistance is a gracious way to allow others to demonstrate the love and teachings of Jesus Christ. Together we are one in Christ.